One thing my kids get asked frequently is if they play a musical instrument. When they answer my voice is my instrument, people always seem perplexed. That response is perplexing in itself, since the practice and theory of singing is not different from learning to use any other musical instrument. The discipline, the physical training, the music reading, the attention to dynamics, the learning of many different styles or languages exists when singing, as well. 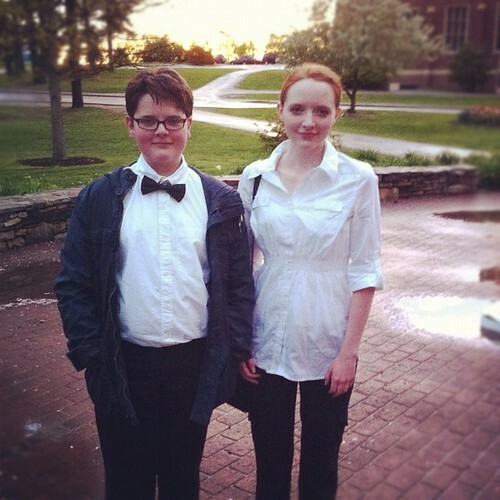 Both Olivia and Adam have been singing as part of auditioned choirs since they were both age six. They both are dedicated singers, both spend hours practicing a week and both are passionate about bringing their music to others. 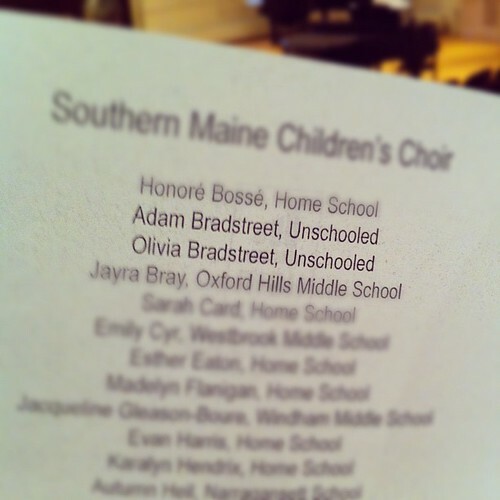 The University of Southern Maine recognizes this and includes voice as part of their Youth Ensembles. 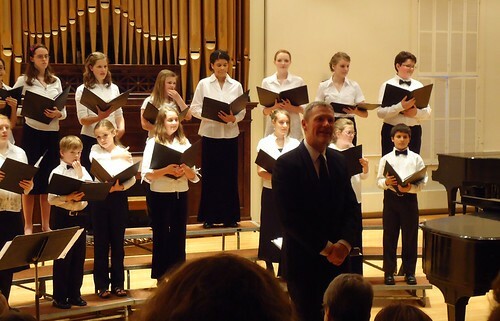 This evening, The Southern Maine Children's Choir, conducted by Dr. Paul McGovern, had their spring concert. The choir has grown some since the fall semester and overall, the voices sounded stronger and more cohesive since they last performed. As we sat with the kids' Nana and Papa and Auntie, we listened to this group of young people, this choir, this ensemble, as they sang in Latin, German, Hawaiian and Zulu. As I looked at my children, (the top right, Adam on the end and Olivia the third from the right ), I saw their expressiveness, their pure musicality, and it was clear that their voices truly are their instruments. Adam, especially, did me in by the end of this Quaker piece (1:34). The sheer joy in singing is very evident. They made me cry, in public, twice. In Latin, A Jubilant Gloria Mary, Adam and Olivia's favorite. To view all the performed songs, visit our channel. 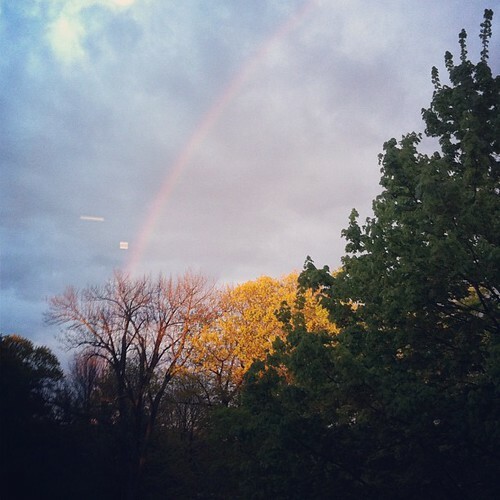 Look, they even sang rainbows into being. Love, love, love his bowtie! Kudos to both Olivia and Adam on a job well done! The songs were just gorgeous!